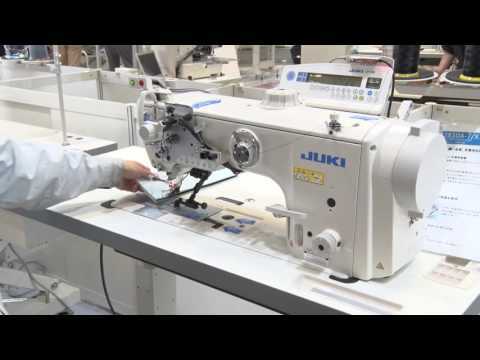 This Juki Series LU-2810-7 1 needle, lockstitch, direct drive, walking foot machine also has thread trimmer, 2.0 fold capacity hook and 2-pitch dial. The high-quality, robust Juki LU-2810-7 delivers high-quality seams that are perfect for sewing a wide variety of heavyweight materials, such as leather. This model is more efficient than standard arm models when it comes to stitching larger, thicker materials. This is due to the fact that the under-arm clearance to the right of the needle is approximately 30% larger than the under-arm clearance of standard arm models. This machine is ideal for sewing leather upholstery, furniture, automotive interiors, etc. and is widely used throughout the world in industrial manufacturing of the above products. We have seen increased sales of this product throughout Europe due to its reliability and efficiency.